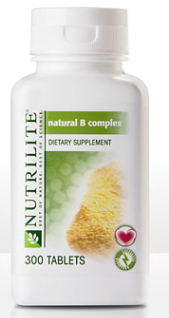 Biotin is one of the more popular vitamins from the B-complex vitamin group. Biotin has some important roles in the metabolism of food. It helps the body metabolize fats and use carbohydrates. Diabetics often take this supplement to support the metabolism of fat and carbs. Biotin also prevents a buildup of fat deposits that may interfere with the proper functioning of some vital organs like the liver and kidneys. But don't get your hopes up, although some people do take biotin during weight loss programs, biotin generally will not prevent fat buildup in more visible areas like the stomach...if only it were that simple :). 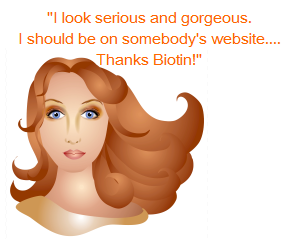 Biotin is well known as the "hair, skin, and nail" vitamin. It promotes healthy hair and nail growth, and promotes the process of skin renewal. This is what makes biotin such a popular supplement. Biotin is found in small amounts in rice, yogurt, and liver. A small amount of biotin is also made in the small intestines. Biotin is also available in supplements. Egg yolks are also a good source of biotin. Egg whites are not a biotin source. If you are a person who consistently eats egg whites, you are missing out on a good vitamin source. Biotin overdose or toxicity is not known, and although deficiency can occur, it is a usually a mild occurrence. Biotin deficiency is most commonly found in people who do not eat egg yolk and in pregnant women. A biotin deficiency will usually bring skin rashes, slow hair growth or hair loss, and brittle nails. Because there is no known toxicity level of biotin, many tend to buy daily supplements of various measurement for the hair, skin, and nail benefits. Created with Site Build It!